Cast: Akkineni Nagarjuna, Baby Kavya, Myra Sareen, Shayaji Shinde, Firoz Abbasi and Others. Shivaji Rao (Akkineni Nagarjuna), a Hyderabad-based sincere and honest cop, was assigned a case related to Mumbai-based corrupt cop Narayan Pasari. He succeeds in arresting Pasari by collecting evidence but wasn't able to prove the charges. Since then, Pasari turns even more dangerous and targets Shivaji Rao. What has Shivaji Rao done to make Pasari pay price for his criminal mindset? 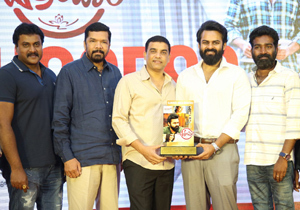 Nagarjuna maintained good fitness levels to do justice to the role. He performed as per Varma's school and showed the required intensity when it matters. Lack of make-up doesn't appeal to the viewers at times. Overall, Nag did a fine job as a sincere police officer. The Actor who essayed the crucial role of Narayan Pasari isn't even reasonably good. Audience mayn't connect much with this character due to lack of required intensity. It should have appealed if an Actor of huge stature played antagonist. Baby Kavya performs well. Myra Sareen neither impresses with her beauty or acting calibre. She just managed to appear glamorously in a song. Nothing much to say about rest of the Actors. 'Officer' proved output of Varma's Films doesn't change even if technicians were altered. Music and Cinematography of 'Officer' are no different from his previous movies. Music composed by Ravi Shankar isn't refreshing at all. Special care is being taken for Sound Effects but loudness causes discomfort to the viewers many a times. Though two Cinematographers had worked, No difference could be noticed. Only Varma's movies will have such kind of camera angles and some of them are very irritating. Production Values have been poor to say the least. 'Officer' is a classic example of RGV not focussing on writing as much as he is concentrating on technical aspects. He continues the habit of making feature films inspired by a storyline. Akkineni Nagarjuna agreed to work with Ram Gopal Varma despite being aware of his track record in the past decade. Movie Lovers assumed 'Officer' could be a special project because of the same reason. However, Promos raised doubts over the content and making standards. Still, People stepped into theaters believing Nag's assurance that Varma has taken utmost care this time. From start to finish, Audience waited to see something beyond their imagination but were left disappointed. Storyline of 'Officer' looks very interesting. A Cop who crushed Mafia under his feet becomes a threat to the society. That's when another Police Officer takes up the challenge to end his atrocities. Unfortunately, Varma failed to narrate the subject in an interesting manner. Drama and Intensity which made 'Satya' and 'Company' classics is missing here. Except in the technical aspects, Varma-mark goes missing completely. Role of the Antagonist which is so crucial in 'Officer' hasn't been etched well. Lack of intensity in the Actor who essayed this character is the major flaw. Then, How could the Hero's role get elevated? Tagline of 'Officer' (Cops Were Never This Scary) is completely misleading. Why because, The Protagonist isn't as ruthless or powerful as anyone has expected. There is nothing much Hero does in this movie. Even the interrogation sequence of Villain by Hero is below par. There isn't even a single strong scene in the entire movie to arrest the attention of the viewers. Don't even expect any twists n turns while stepping into the theaters. Justification wasn't done to the massive build-up given for the Hero and Villain roles. Varma just gave an impression that something remarkable is gonna happen with camera tricks and background score. First Half of 'Officer' is decent, particularly confrontation scenes between hero & villain. Lack of twists ruin the interest of audience gradually. There is nothing much to say about Second Half. The point that Hero is forced to work under the Villain is a good concept but RGV couldn't capitalize on it. Expressions of Nag in the chasing sequence makes people question how did he okay it. 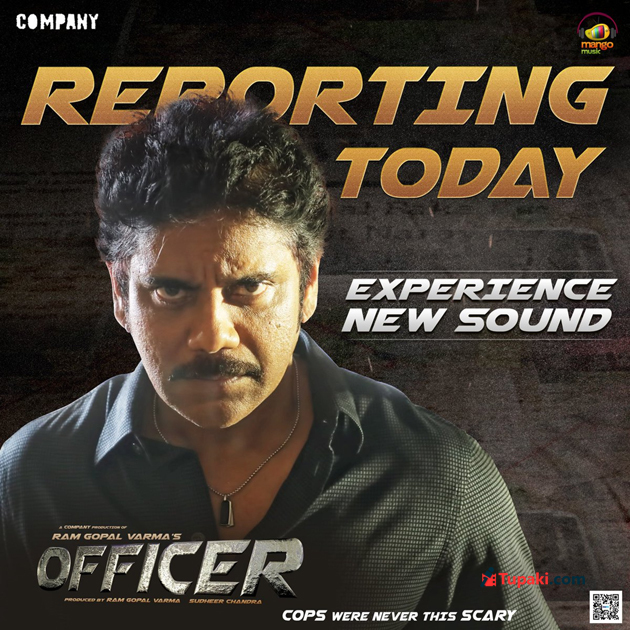 Compared to disasters delivered by Varma in the recent years, 'Officer' appears to be slightly better but its definitely not what people expect from a crazy combo. Bottom Line: Nag-Varma Combo Was Never This Worse!